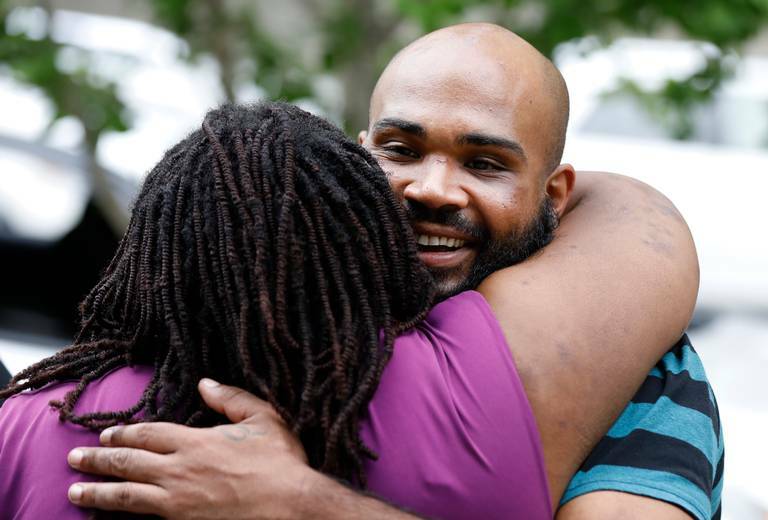 Kyron Dwain Hinton hugs Dawn Blagrove, the executive director of the Carolina Justice Policy Center, before a press conference Tuesday, May 15, 2018, in Raleigh. On Tuesday, a Wake County grand jury handed up indictments against three law enforcement officers, accusing them of beating and injuring Hinton with flashlights and a police dog on April 3. 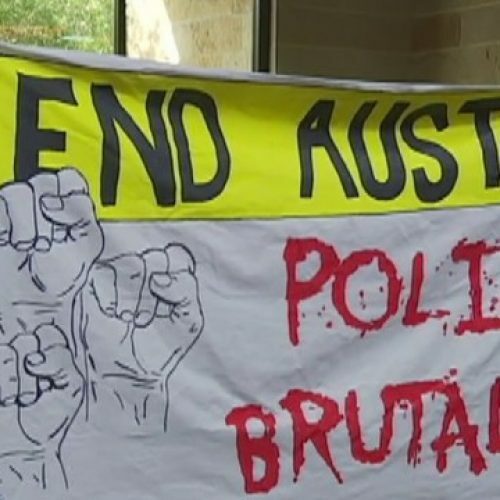 RALEIGH – A Wake County grand jury handed up indictments Tuesday against three law enforcement officers, accusing them of beating and injuring a Raleigh man with flashlights and a police dog. 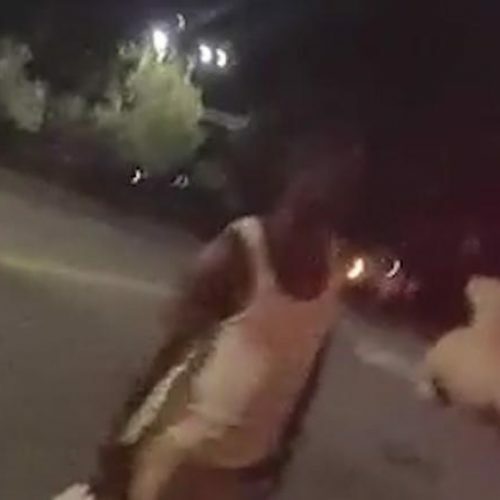 The incident happened April 3 in East Raleigh when Kyron Dwain Hinton, 29, was crossing the street on foot at North Raleigh Boulevard and Yonkers Road. Hinton has said he left a sweepstakes parlor around 10:30 that night and was headed to downtown Raleigh when police stopped him. The three accused are Cameron Broadwell, a Wake County sheriff’s deputy and N.C. State Highway Patrol troopers Michael G. Blake and Tabitha L. Davis. In addition to felony assault charges, each was accused of willfully failing to discharge duties. They were not immediately arrested. In a press conference Tuesday afternoon, Hinton said he was grateful to Wake County District Attorney Lorrin Freeman and to those involved in the investigation that led to the indictments. The N.C. Police Benevolent Association, which represents thousands of officers across the state, issued a quick criticism of the grand jury process. Broadwell had wanted to testify before the grand jury considering criminal charges against him. Wake County Sheriff Donnie Harrison said Broadwell had been placed on administrative duty. “I have full confidence in our judicial system and look forward to this being resolved in court,” Harrison said in a statement. The charges came after Freeman asked the State Bureau of Investigation to look into the incident after Hinton questioned the officers’ behavior. 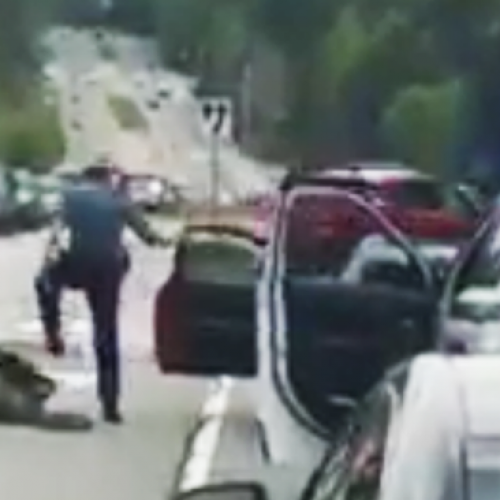 Both troopers have been on administrative duty since the incident in April, according to a spokesman. Homeless at the time, Hinton said police stopped him in the middle of the street after he lost all his money at Good Luck Sweepstakes. Hinton said he was punched in the face and then was on the ground on his stomach when a police dog bit him on his side, arms and head. “I didn’t hit nobody,” he said. I “didn’t grab nobody. I really couldn’t.” He said that after he was handcuffed, he could feel his pants being pulled down and then the dog started sniffing him. Deputies said Hinton had been “engaging in violent conduct” and “creating the threat of imminent fighting and violence,” and accused him of ignoring commands to get on the ground. Additionally, Hinton was accused of striking Loki, the Wake County Sheriff’s Office K9, in the face. An arrest warrant contended that Hinton implied having a gun by pointing his hand in the air as if he held a firearm. The Wake County Sheriff’s Office charged Hinton with disorderly conduct, resisting a public officer and assault on a law enforcement animal. But Wake County prosecutors dropped the charges on May 7. Hinton said Tuesday that he looks forward to testifying against the officers and said a video of the incident would make it difficult not to convict them. Freeman said the SBI investigators reviewed videos recorded by dashboard and body cameras worn by the officers. A Wake County judge will hear a petition on May 25 from media outlets seeking release of the video. Hinton was joined by supporters, including attorney Dawn Blagrove, executive director of the Carolina Justice Policy Center. Blagrove said the treatment of Hinton shows that Wake County needs a citizens advisory board to help oversee law enforcement agencies. Hinton spent three days at WakeMed for treatment of injuries he described as a fractured eye socket, a broken nose and about 20 dog bites. On Tuesday, Hinton said he still suffers from memory loss and needs surgery on his eye as a result of the incident.